The refi boom of the last few years may be finally going bust, as mortgage lenders are reporting that purchase loans comprise almost two-thirds of their overall mortgage volume, according to Ellie Mae. The mortgage industry software provider’s latest Origination Insight Report found that purchase loan activity climbed 3 points to account for 61 percent of lenders’ loans, marking the first time that purchase loans have reached 60 percent since October 2014. Last month, Ellie Mae reported that purchase loans rose 6 points from May to a 58 percent market share. In April, refinance activity was at its highest level of the year. 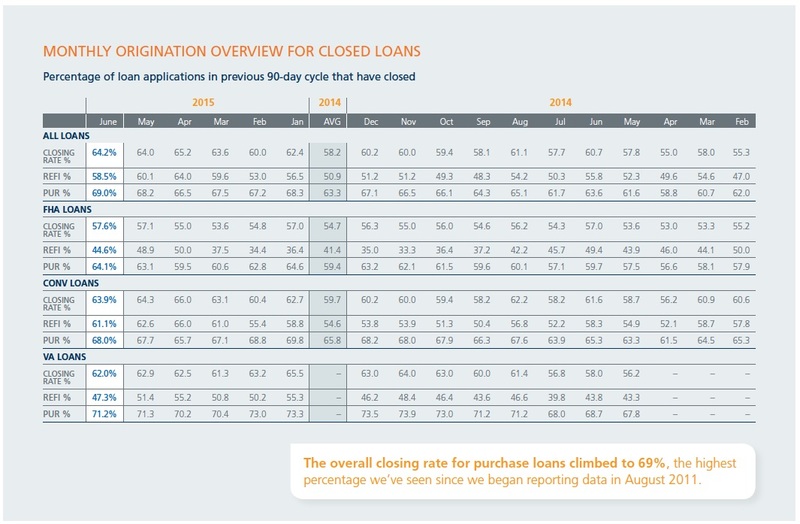 In addition, lenders’ closing rate on all purchase loans rose to 69 percent, which is the highest level reported by Ellie Mae since it began tracking this data in August 2011. “The improving closing rate is a continued sign that borrowers are being approved and following through with purchases,” said Jonathan Corr, president and CEO of Ellie Mae. Mortgage originations are likely up due to low interest rates, and the likelihood that interest rates will rise before the end of the year. According to Ellie Mae’s report, the average 30-year rate on a closed loan rose from 4.01 percent to 4.11 percent. The data also showed that the average FICO score on a closed loan in June fell three points to 727, the lowest of the year. “With a surging housing market and U.S. home sales at their highest level in years, lenders remained busy in June,” Corr said. The Origination Insight Report mines its application data from a sampling of approximately 66 percent of all mortgage applications that were initiated on Ellie Mae’s Encompass mortgage management solution.